Stunning Mediterranean Lakefront Estate. 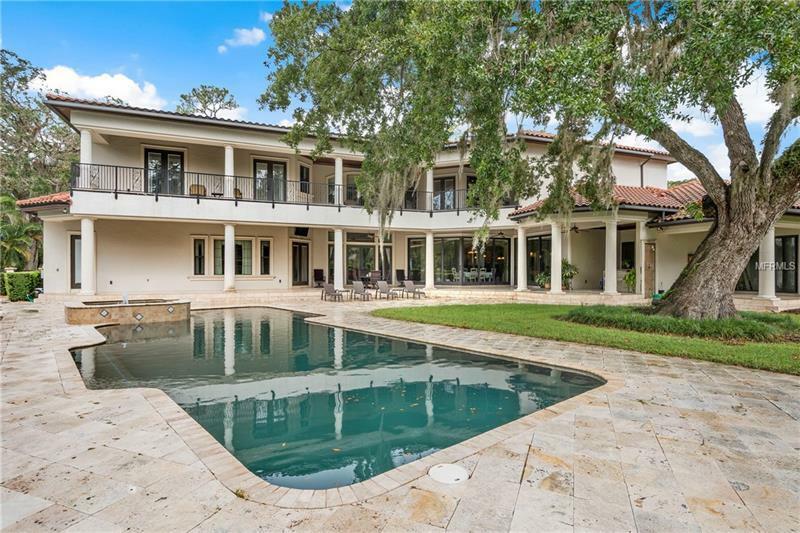 Across from the secret gardens of Kraft Azalea Park sits this palatial 1-acre estate with over 10000 SF of luxurious living space private tennis court resort-style pool and more! 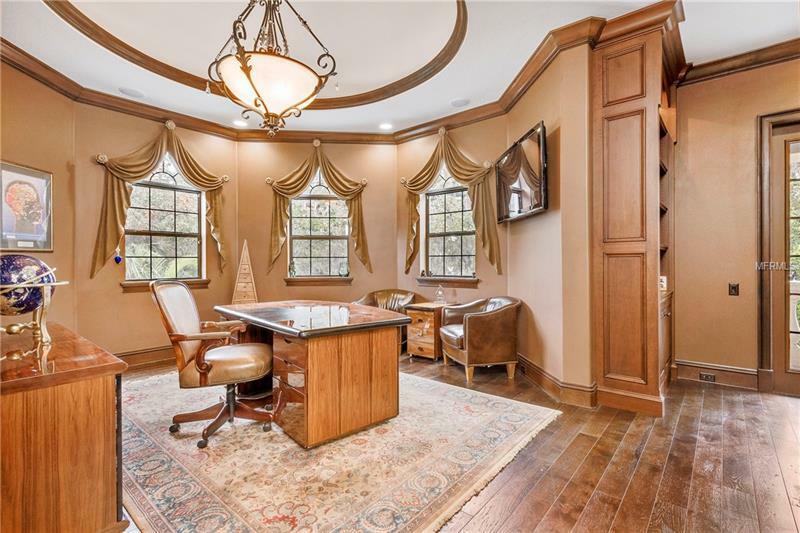 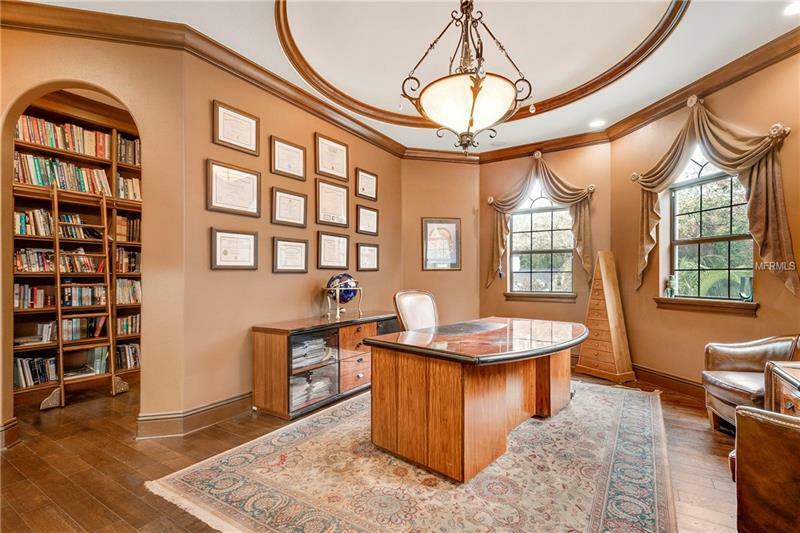 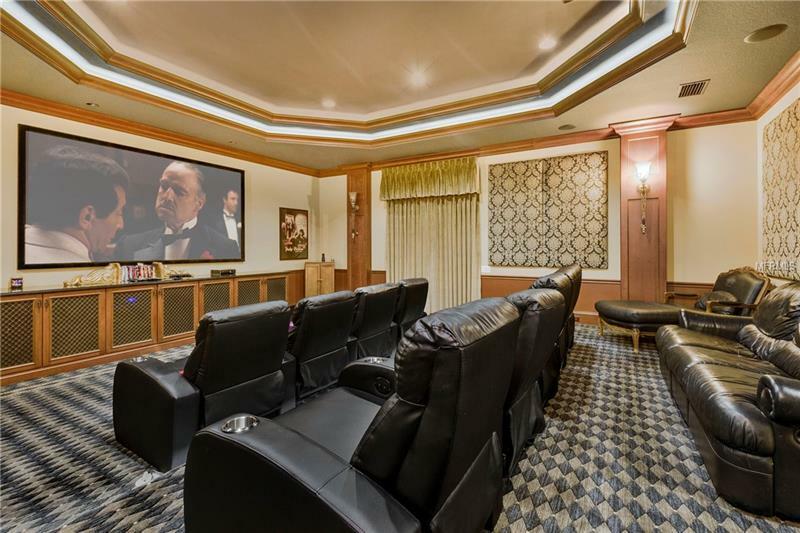 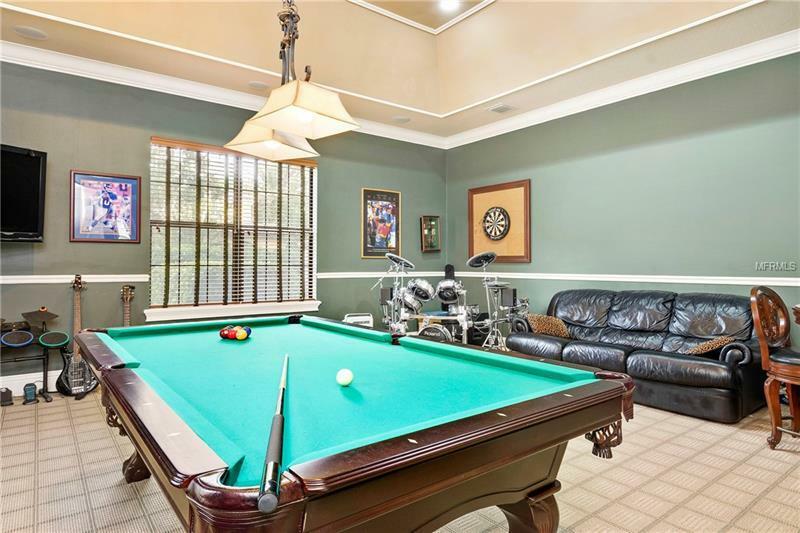 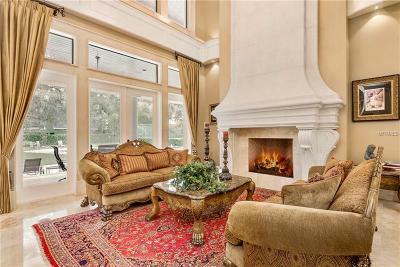 Offering formal living areas gourmet chefâs kitchen open great room his and her home offices elevator 12-person home theater billiard room and six guest suites each with a private en suite and a separate guest apartment with kitchen this home leaves nothing to be desired. 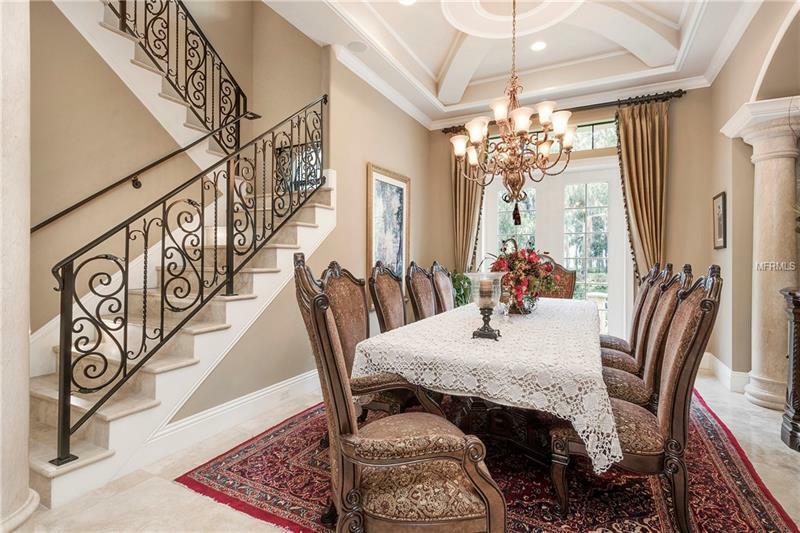 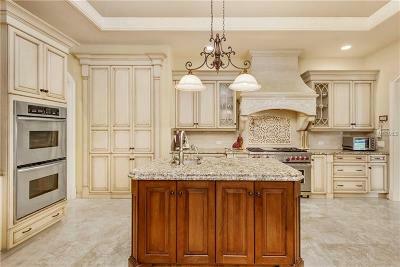 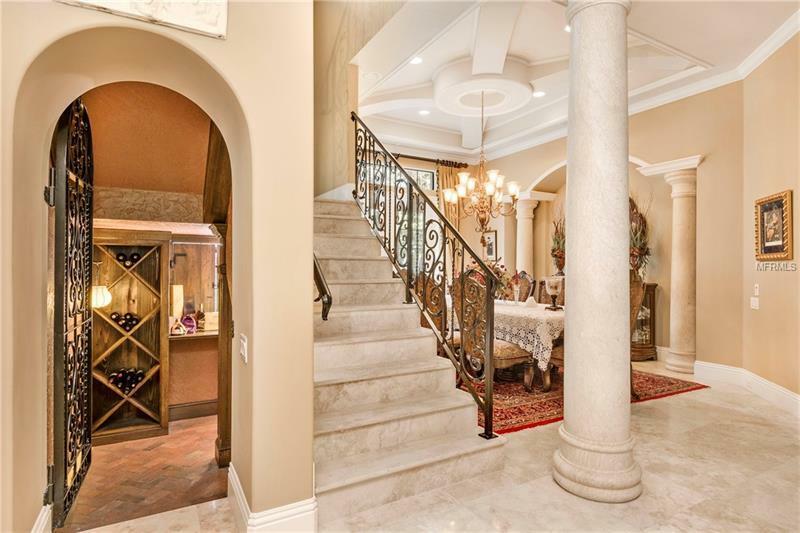 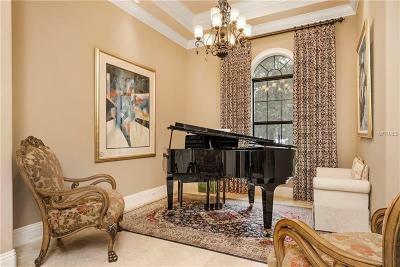 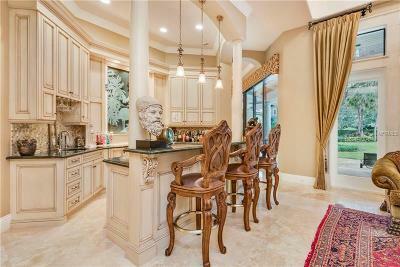 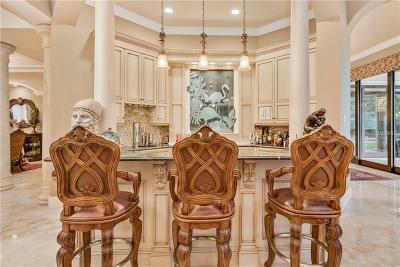 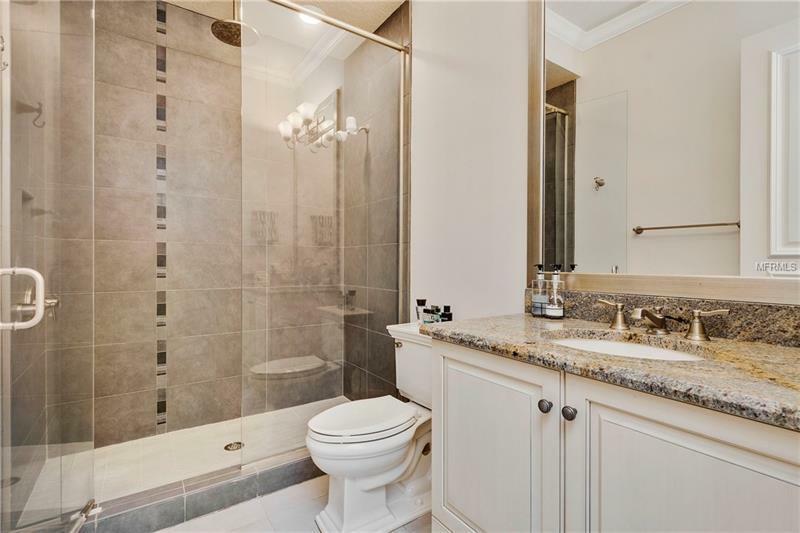 Detailed with high-end finishes throughout the home is exquisite in every way. 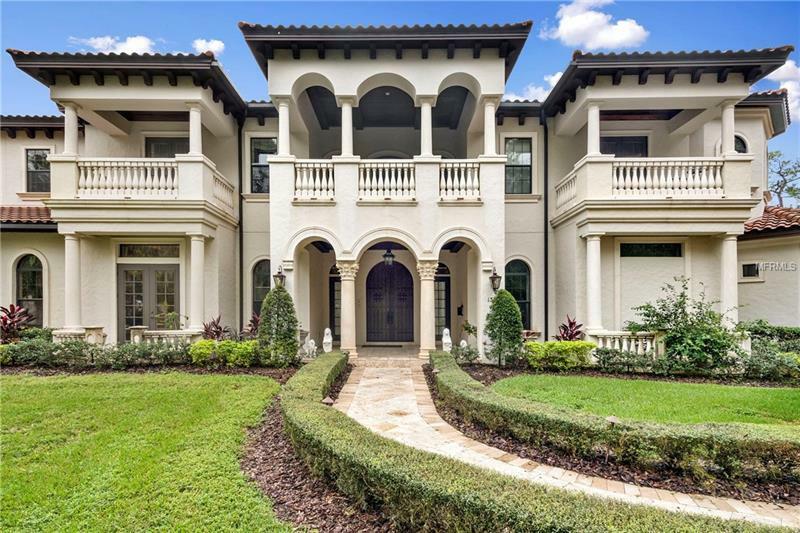 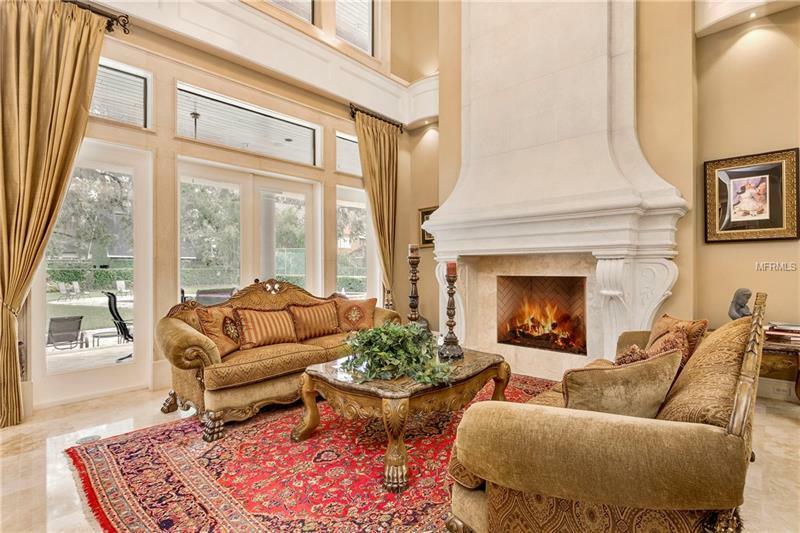 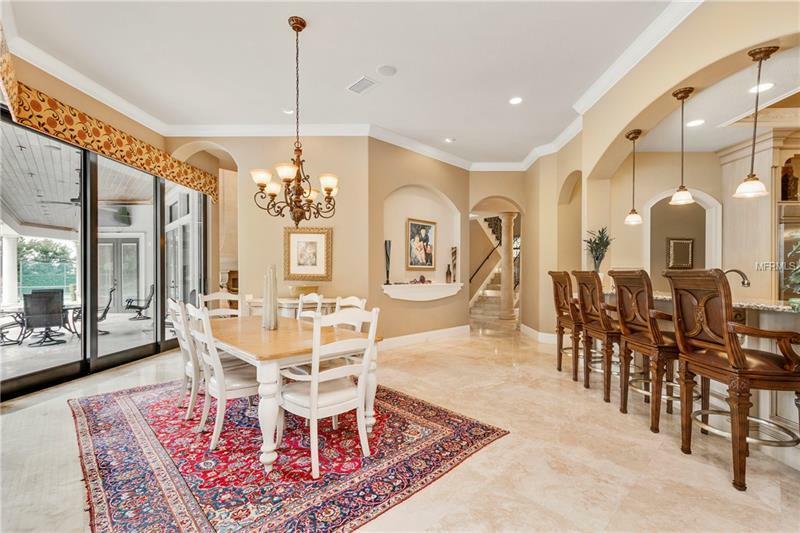 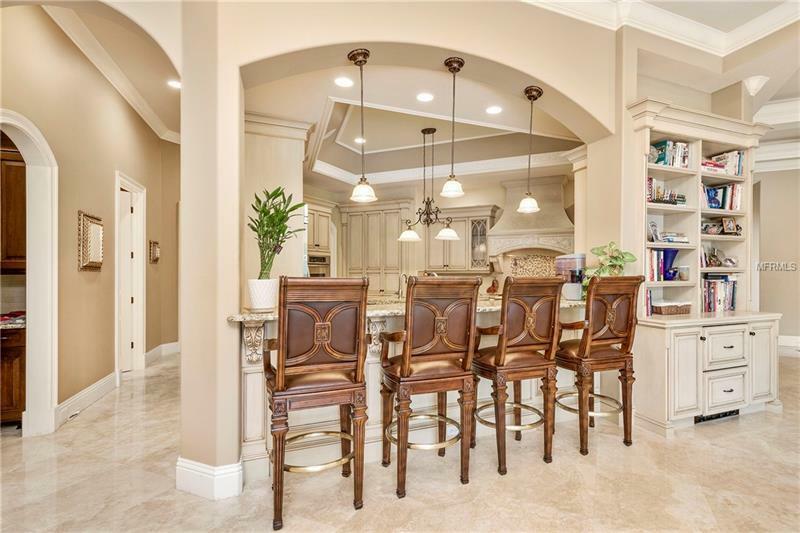 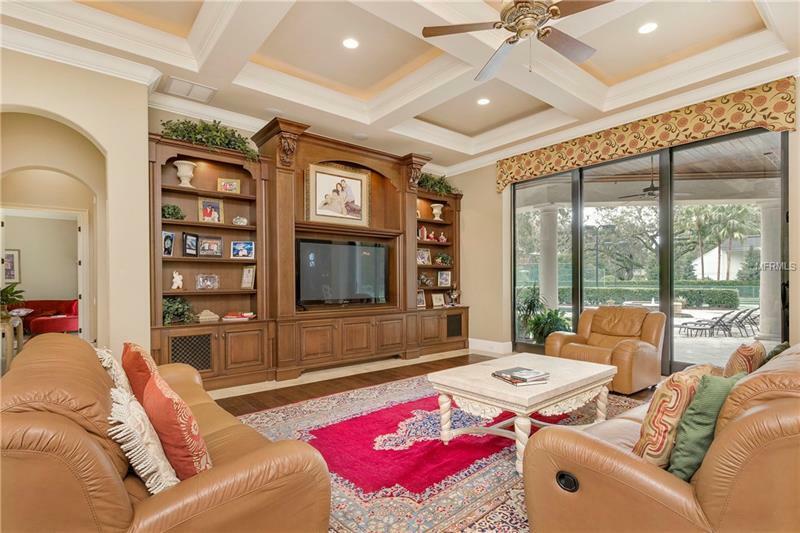 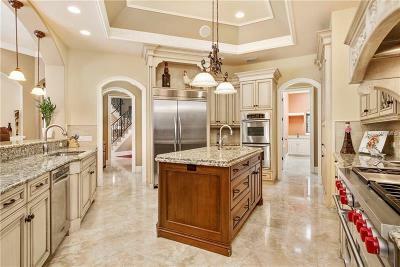 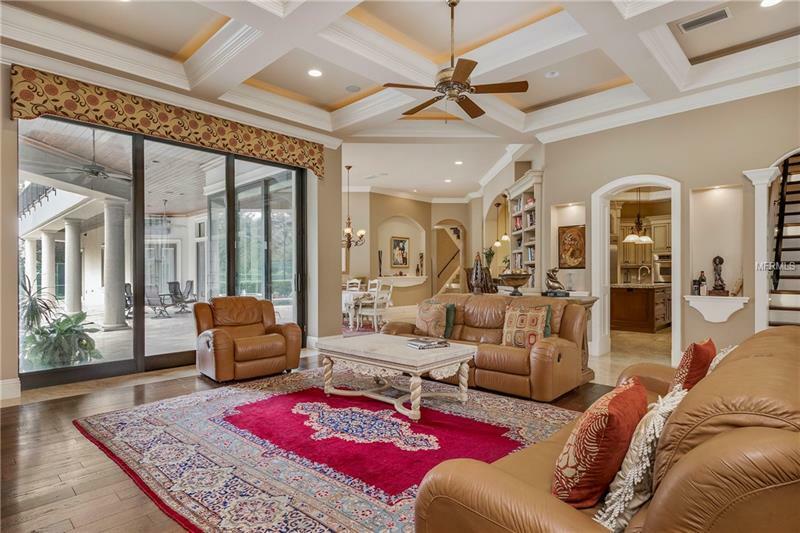 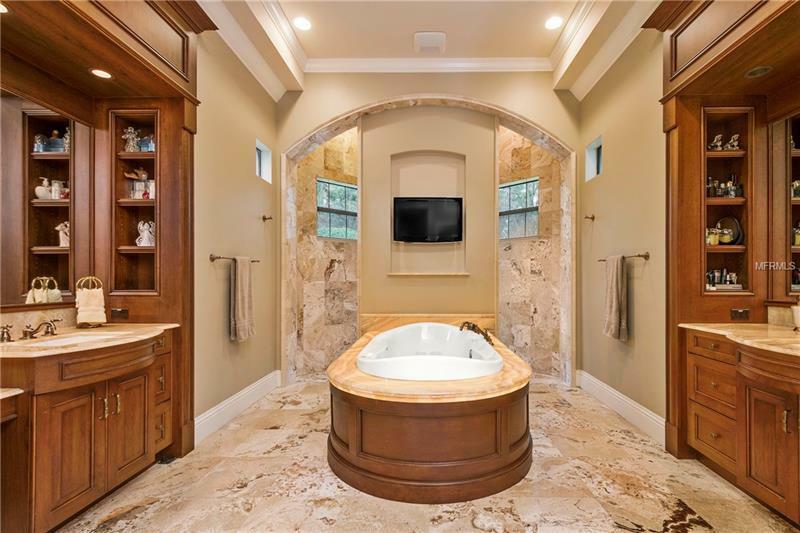 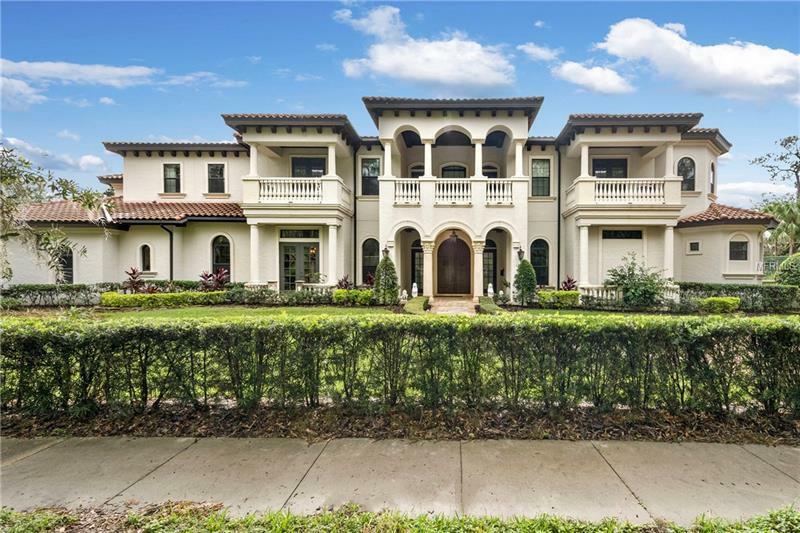 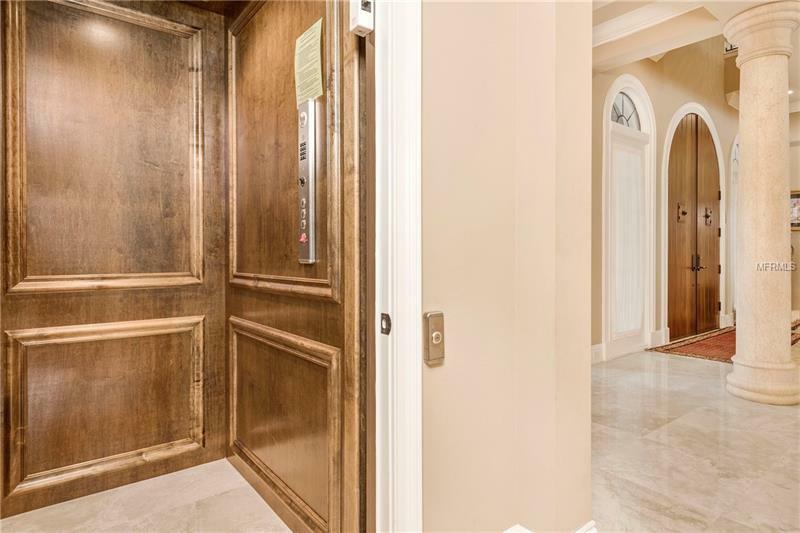 Polished travertine and hardwood flooring trim moldings wrought-iron railings 27â ceilings and a whole-house entertainment system are just a few of the custom details that have been installed throughout the home. 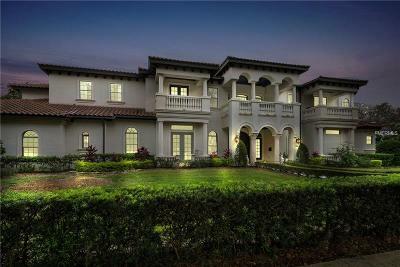 Walkout balconies off the front and rear of the home take full advantage of the homeâs picturesque surroundings. 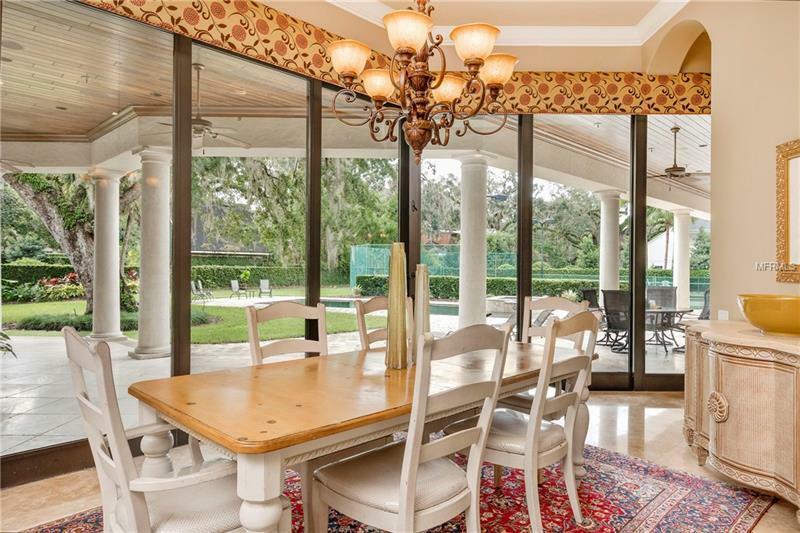 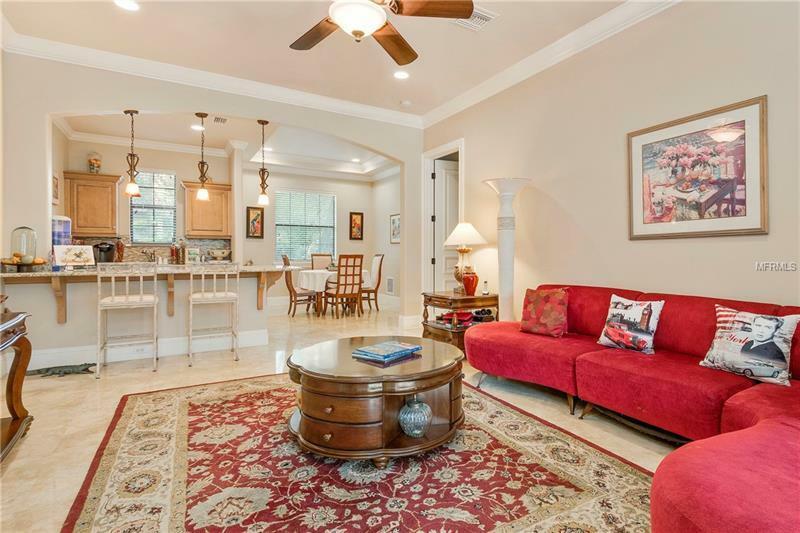 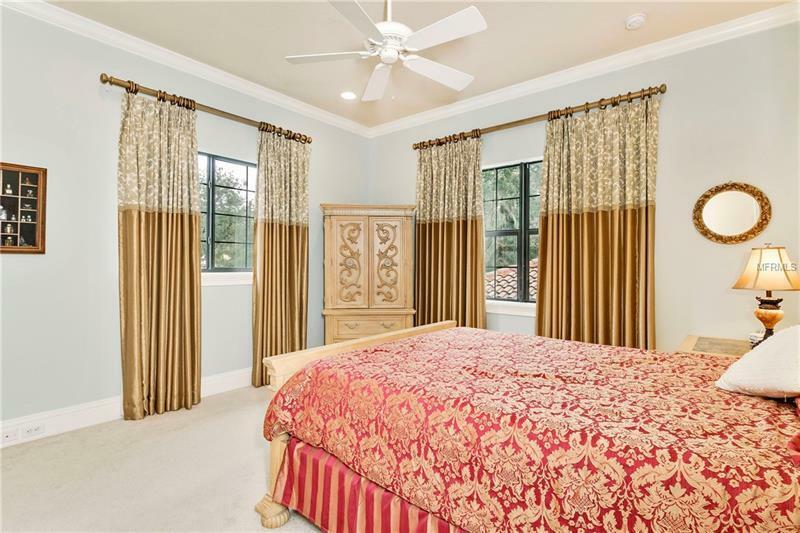 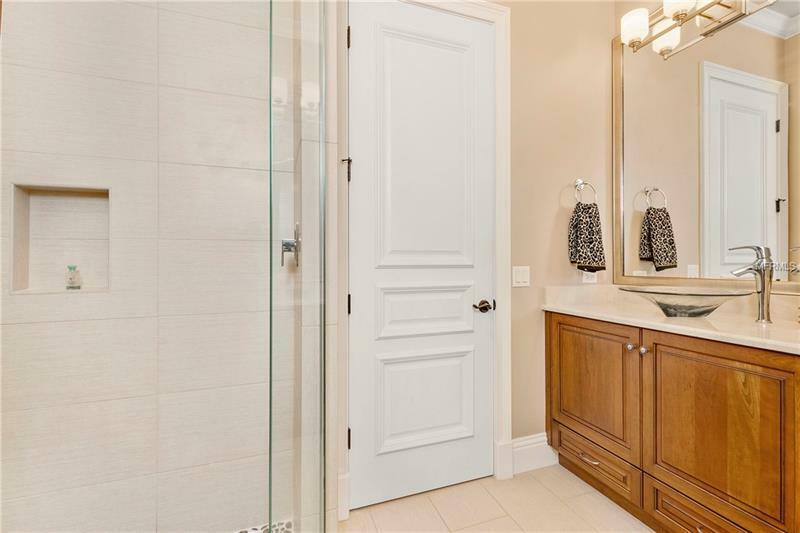 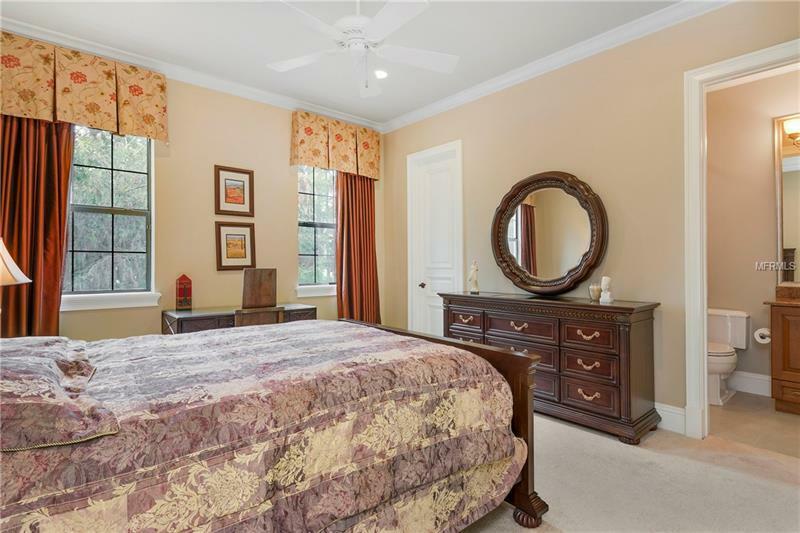 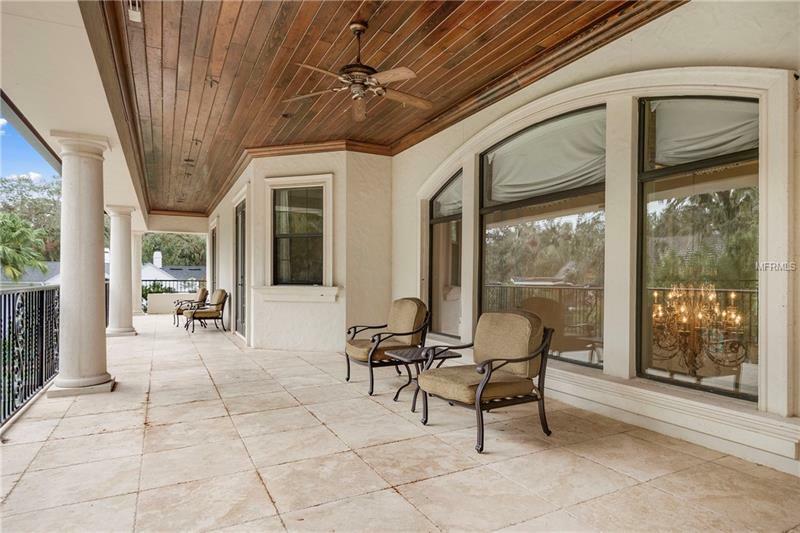 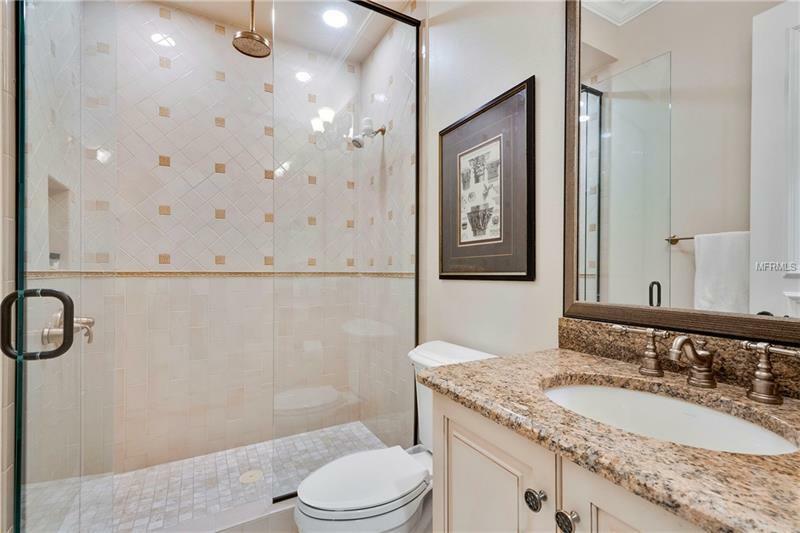 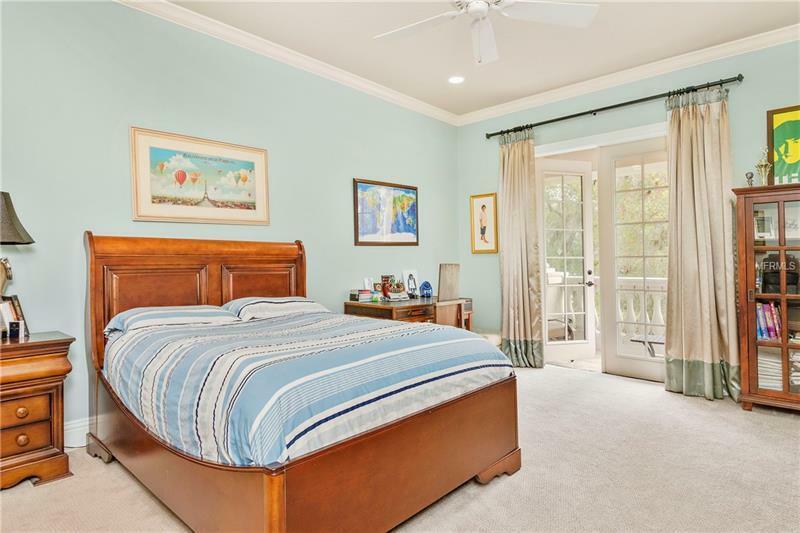 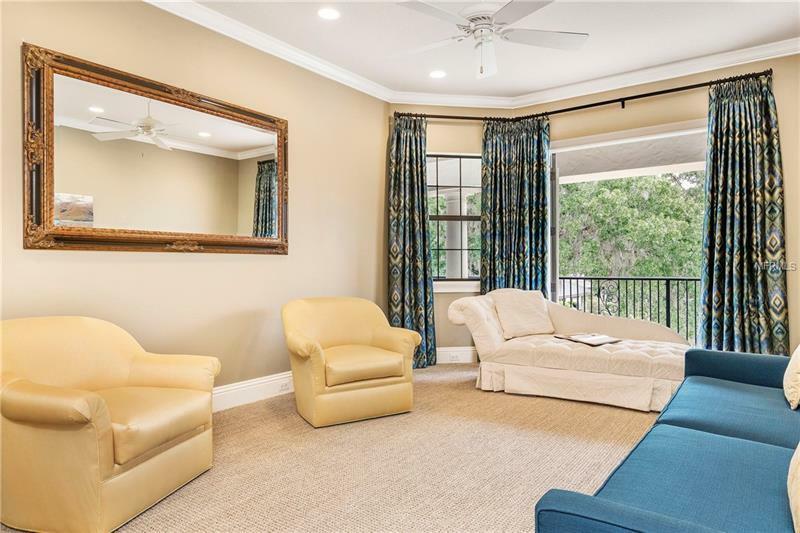 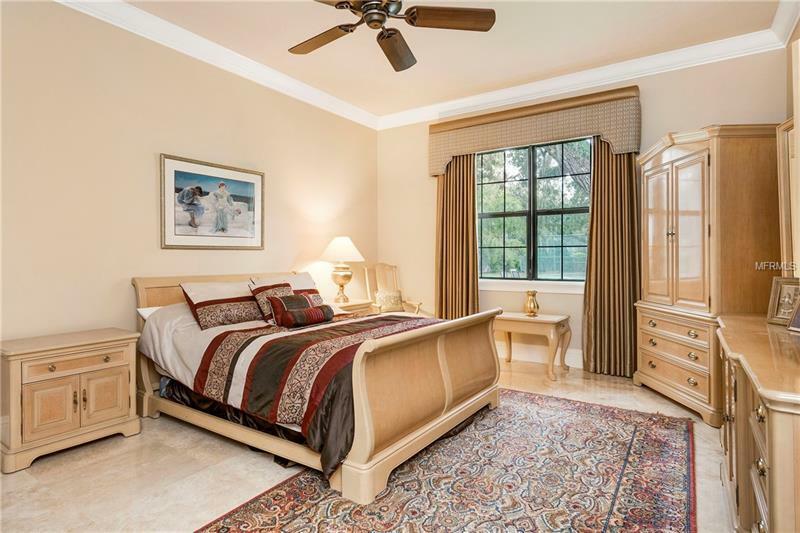 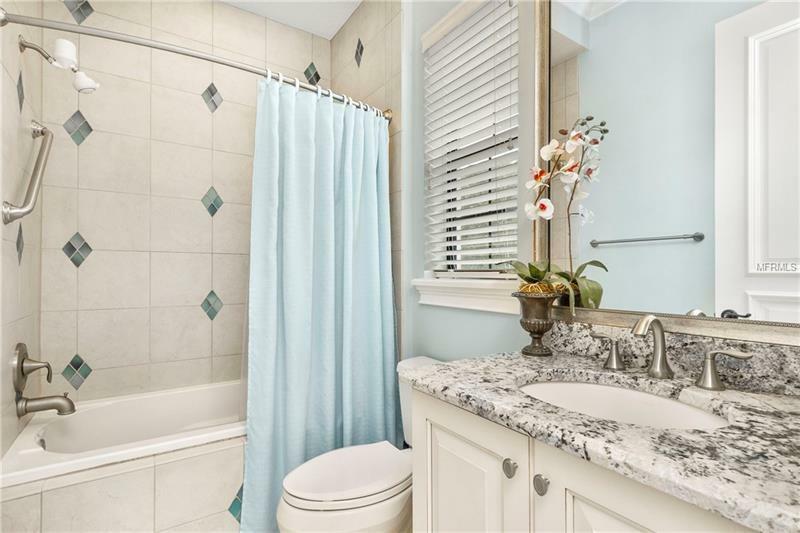 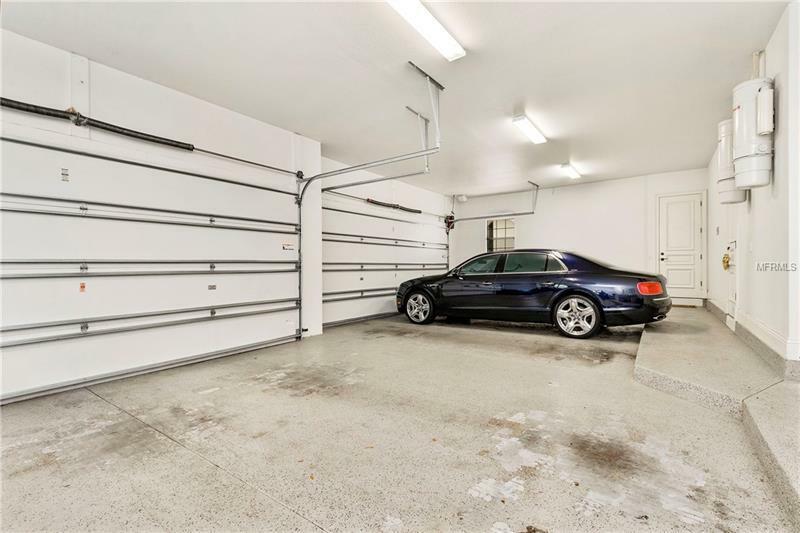 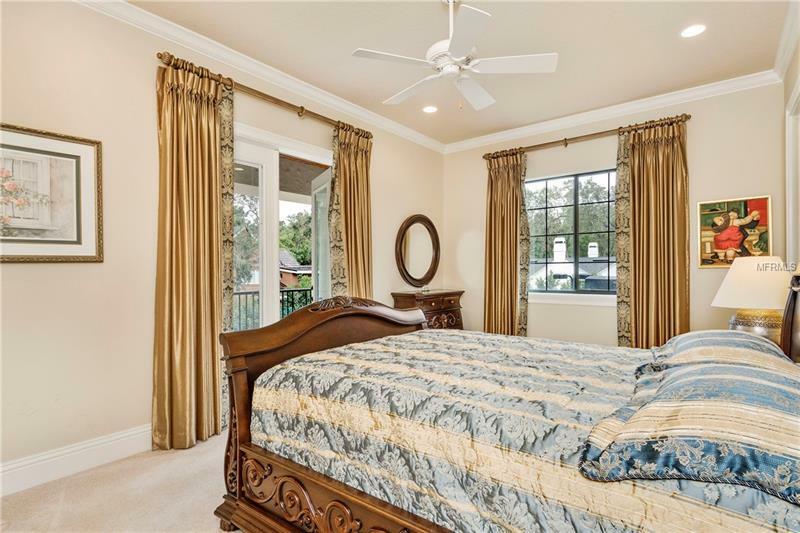 The nearly 1000 SF second floor lanai overlooks the pool and tennis courts and the attached 4-car garage a rare and highly desirable find along with the front circular drive provide a sophisticated entry for visiting guests. 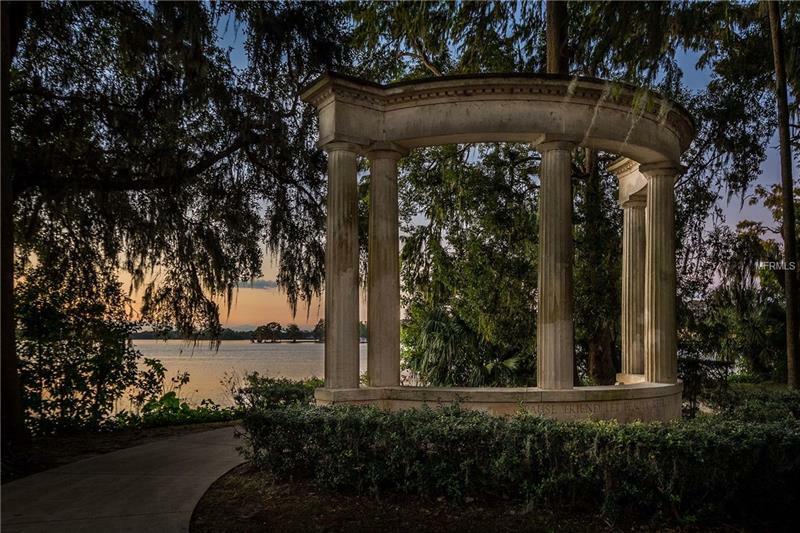 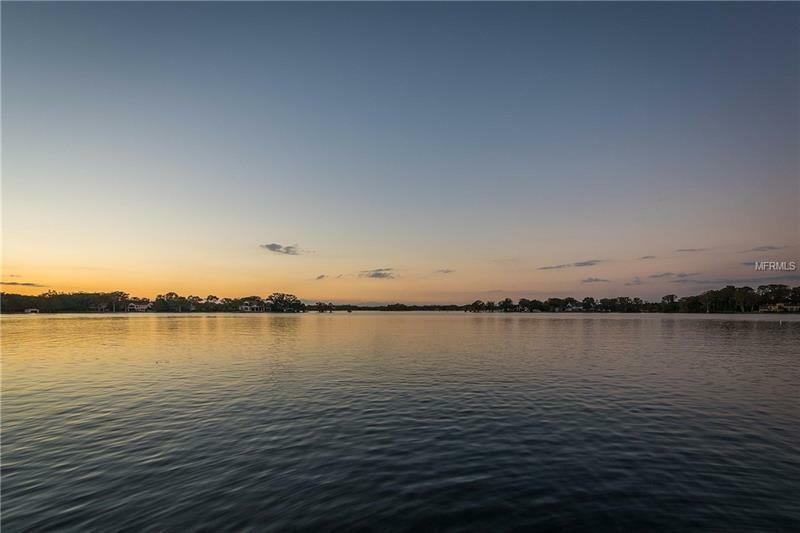 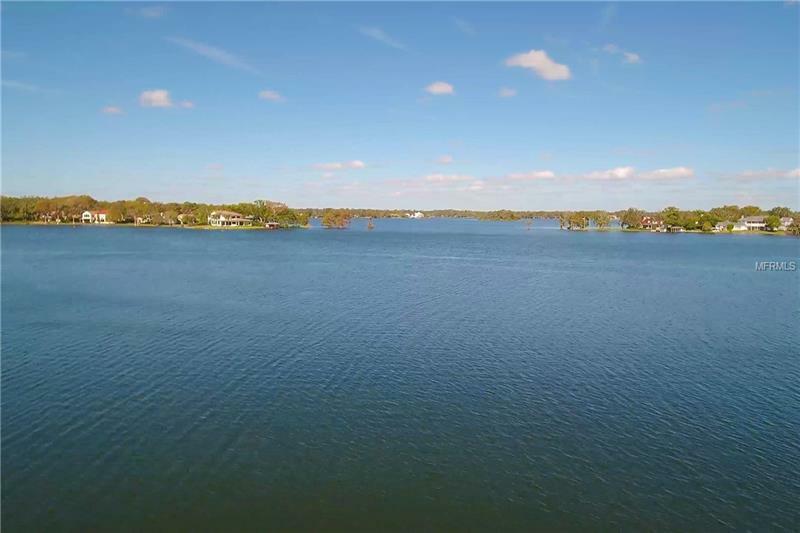 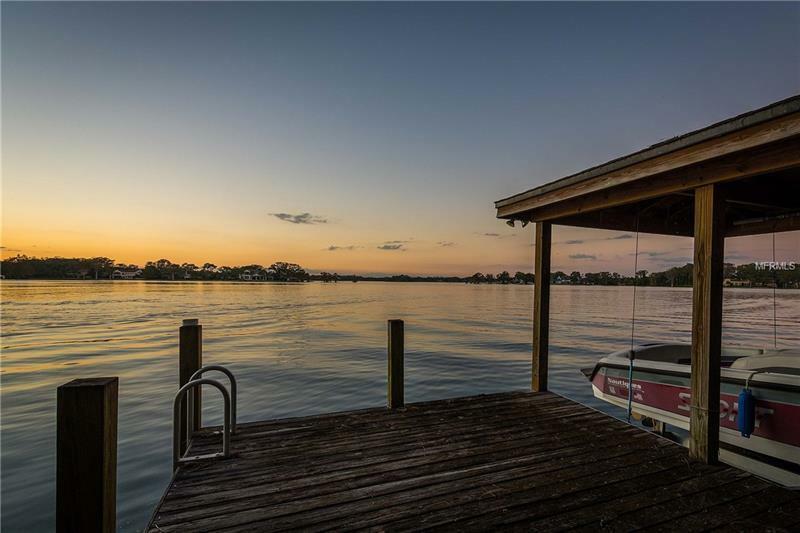 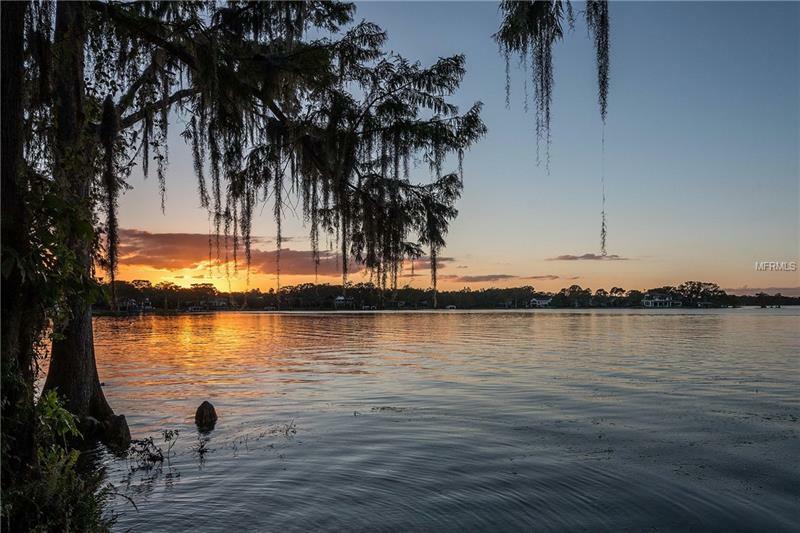 Private boathouse on Lake Maitland faces westward and offers gorgeous sunset views and convenient access to Winter Parkâs main attraction the Chain of Lakes. 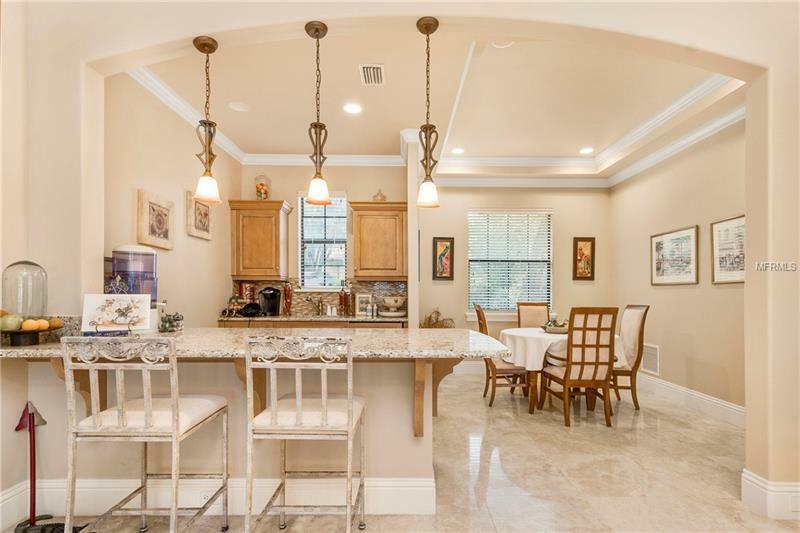 Located on one of the most prestigious drives in town this extraordinary home is like no other and is just a short walking distance from the award-winning restaurants and boutique shops along Park Avenue.